Writing begins with children scribbling and making marks on paper. Any activity your child does with their arms, hands, and fingers will help develop fine motor skills. Scribbling with crayons, playing with dough, and picking up small objects are just a few activities that can help develop the coordination needed for learning to write. At mealtime, we encourage your child to pick up small pieces of food to feed themselves. We give your child blocks, balls and other objects to move and roll. 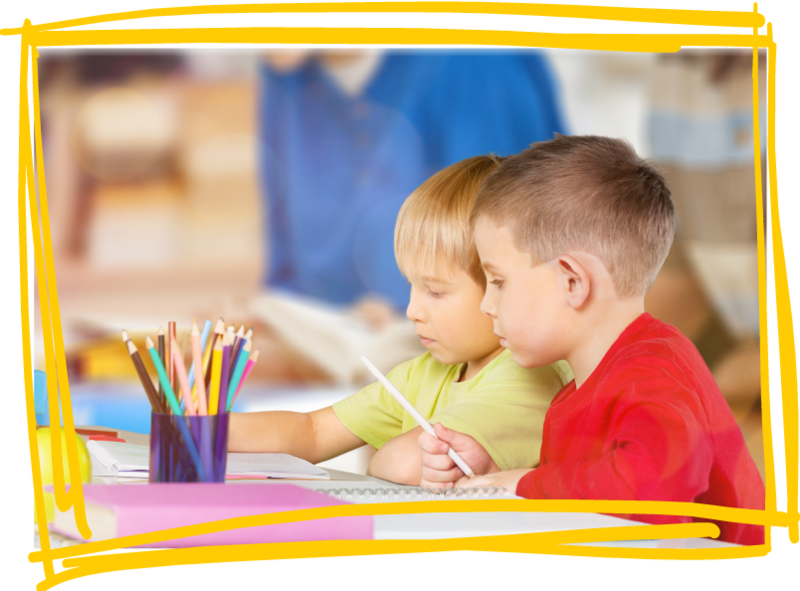 We write your child's name together and help them learn each letter. We write down a story that your child tells us, and then read it back together.